A fresh trend is building up among Windows 10 users. 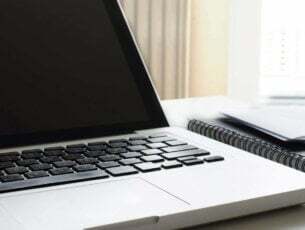 More and more users are looking for LTE laptops to use with a data plan. 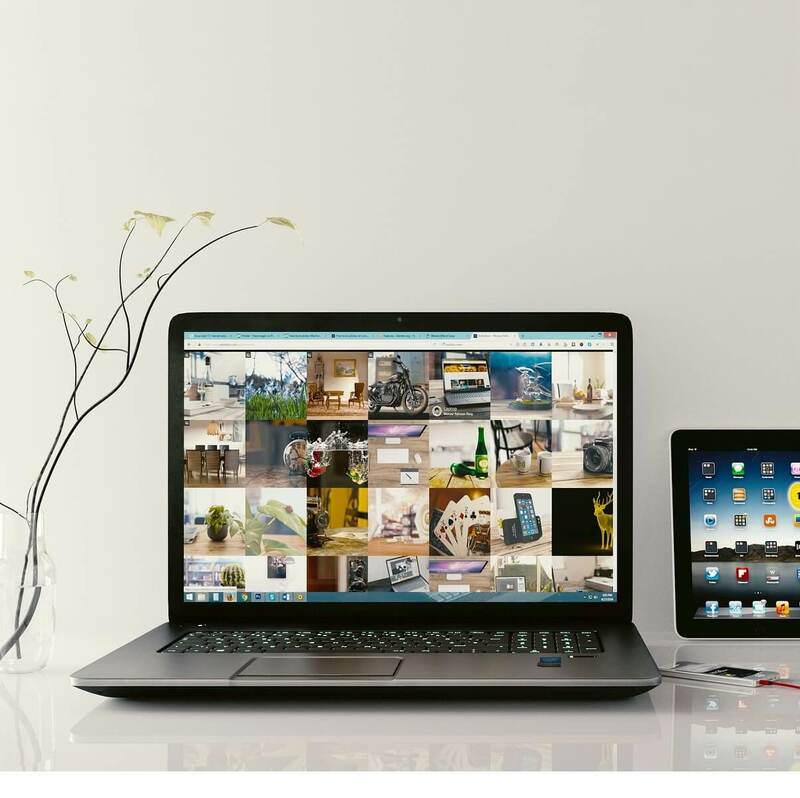 LTE laptops allow users to get a faster connection without necessarily using a tethering route. The only problem is that finding the right Windows 10 LTE laptop is not an easy task — such laptop models are rather few and far between. For this reason, in this article, we’re going to list the best Windows 10 LTE laptops currently available on the market. What are the best Windows 10 LTE laptops? HP Spectre X2 is a thin, durable and stylish detachable that will boost your productivity. This device successfully blends attributes like beauty, performance and practicality, all mounted on an aluminum case that will definitely turn heads. HP Spectre X2 has a unique stainless steel kickstand that rotates 150 degrees to adjust smoothly to any viewing angle. The Spectre x2 was made for mobile productivity with a full-sized keyboard and trackpad. 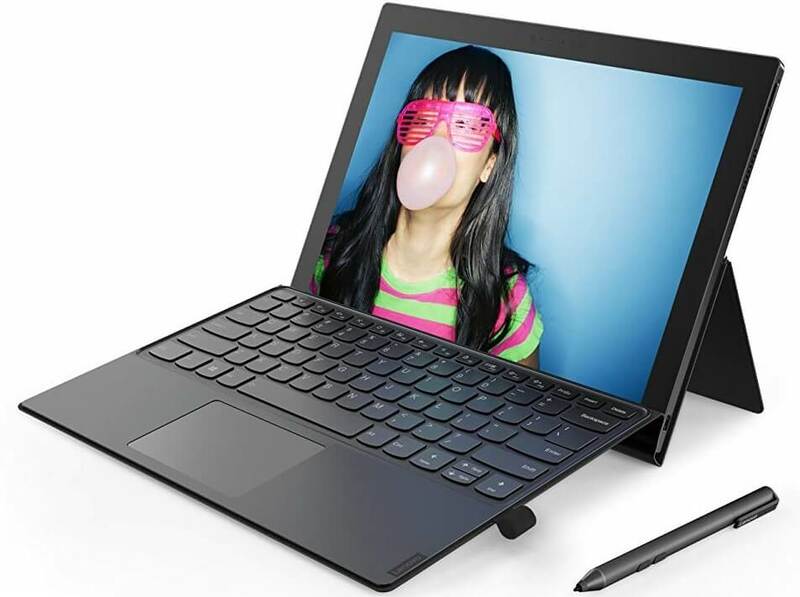 It reunites the full power of a PC with the adaptability and portability of a tablet. The Spectre x2 keyboard is only 5mm thick, but the typing experience it delivers is very comfortable and fast. As far as the technical specs are concerned, the Spectre x2 features a 1920×1280 full HD IPS display capable of delivering bright, sharp pictures with an ultra-wide viewing angle. The device is powered by an Intel Core M processor and offers up to 512GB of storage. Thanks to the 8GB of RAM, you can multitask effortlessly and get more work done in less time. The Spectre x2 is ready for Verizon 4G LTE. Yes, we have another HP computer on the list and this time, it’s a full-fledged laptop. The HP ProBook 640 is thin, tough and extremely powerful. 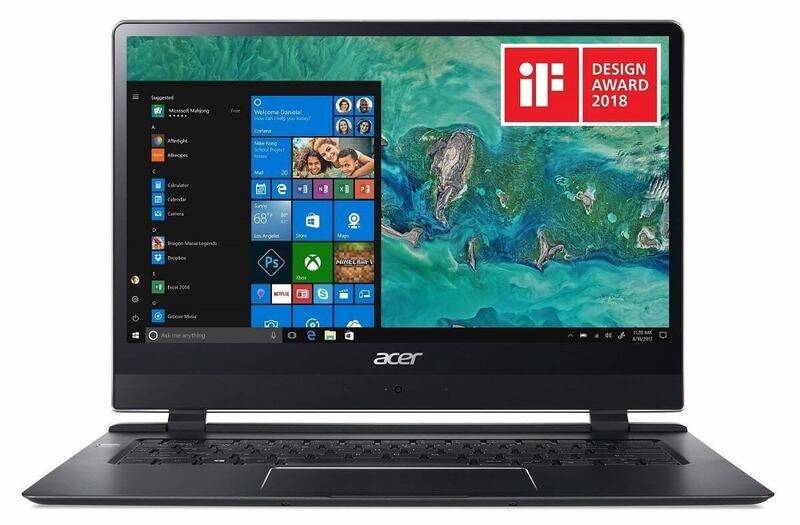 The high-end laptop models of this series are powered by Intel i7 processors, providing them the computing power necessary for performing high-demanding tasks. The full-HD display options, finely tuned graphics, and native DisplayPort 1.2 offer an excellent visual experience. You can always rely on the ProBook 640 to keep your sensitive files and folders safe. You can protect your data, devices, and identities with HP Client Security24 and use HP Trust Circles20 to make sure that only assigned contacts can access critical files. The ProBook 640 is LTE ready thanks to HP’s lt4111 LTE/EV-DO/HSPA+ Mobile Broadband module. However, not all the HP ProBook 640 models offer LTE support. Ask your vendor to confirm that the laptop you’re planning to buy does come with an LTE module. 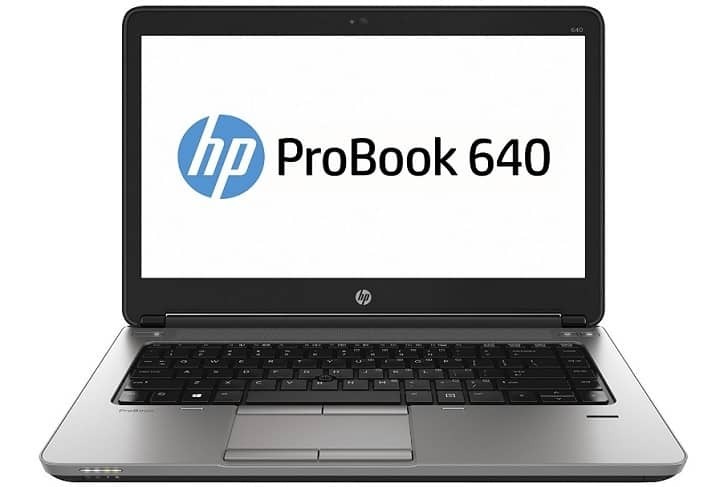 For more information about the HP ProBook 640 models available and their price tag, check out HP’s official webpage. According to Lenovo, the ThinkPad X1 Carbon is the world’s lightest 14″ business laptop, weighing just 2.6 lbs (1.18 kg). At only 0.65 inch (16.5 mm) thin, the ThinkPad X1 Carbon is the right choice if you’re looking for a highly portable device. This laptop is also extremely reliable and strong. It’s constructed with satellite-grade carbon fiber and passed nearly a dozen separate military-grade tests—all under extreme conditions. It can literally deal with everything you throw at it. The ThinkPad X1 Carbon is equipped with 4G LTE-A. Moreover, you can go unplugged for a whole day, as the battery lasts up to 10 hours. The device comes equipped with Windows 10 Pro and up to 6th generation Intel i7-6600U with vPro. Also, conference calls and video chats are a snap thanks to the integrated speakers with Dolby audio, and an HD webcam. HP has a very rich offer in terms of LTE-compatible devices. 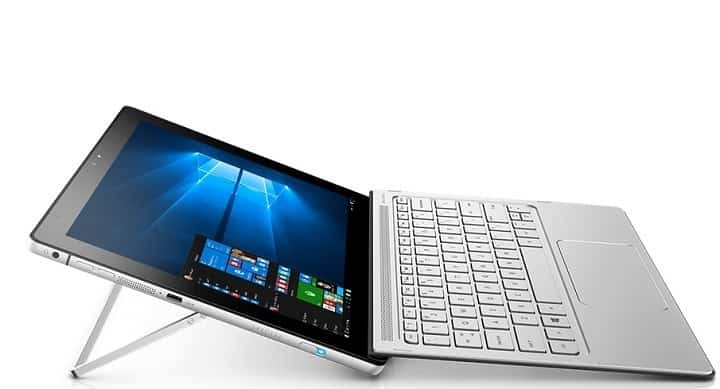 The HP EliteBook Folio 1040 is a very good choice for professionals on the go, allowing you to keep your connection with WiDi, Miracast, compatible WLAN 802.11ac/Bluetooth4.0 combo, and optional Qualcomm Gobi 4G LTE. HP offers five EliteBook Folio 1040 models, for price tags ranging from $1,249 to $1,969. If you’re a Windows 7 fans, then the Folio 1040 is the right laptop for you. The devices also come equipped with Windows 7 Pro available through downgrade rights from Windows 10 Pro 64. The EliteBook Folio 1040 features HP Noise Reduction Software and audio by Bang & Olufsen, which means that you don’t have to worry about sound quality during conferences. For more information about the HP EliteBook Folio 1040, check out HP’s official webpage. The ThinkPad T470 is a laptop capable of powering you through the whole day thanks to its 18-hour battery life. This 14″ robust device features solid-state storage and secure fingerprint reading for enhanced security. ThinkPad T470 is a very fast laptop thanks to the responsiveness and efficiency of the 7th generation Intel Core processor inside. You can quickly switch between your favorite apps without any lag. Every ThinkPad laptop undergoes 12 military tests and over 200 quality checks, which means you can rest assured — this device is capable of surviving the bumps and bruises of everyday life. With super-fast LTE-A (4G) connectivity, the T470 laptop gives you access to all your cloud data and apps even when you are out of Wi-Fi range. Microsoft recently launched a new Surface Pro model that supports LTE. 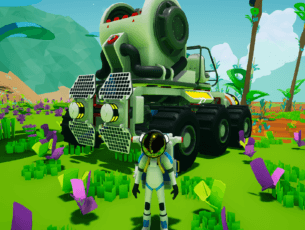 This device is the perfect mobile computer — you can take it anywhere and benefit from the full capabilities of a regular computer. Thanks to its integrated cellular connectivity, you can connect to the Internet even when there is no Wi-Fi network or hotspot available. Ultra-portability is one of the words that best describe the Surface Pro LTE. 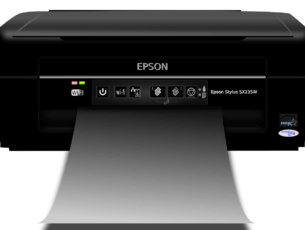 Its 12.3-inch touchscreen display has a 3:2 aspect ratio and the device weighs only two pounds. 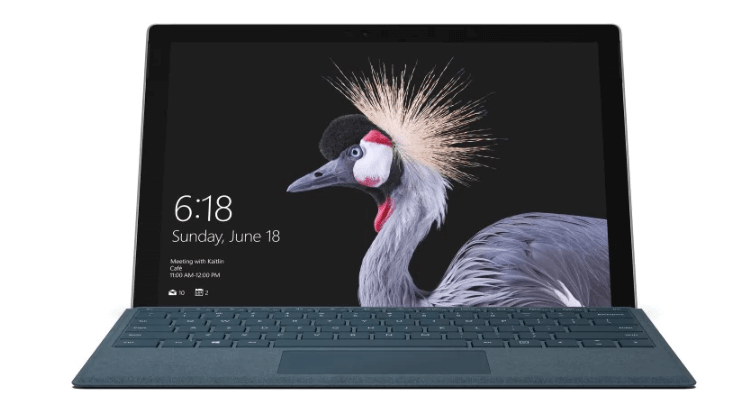 The Surface Pro LTE is powered by a 7th-Gen Intel Core CPU for maximum performance and comes equipped with a built-in modem that supports 20 bands of LTE service. It is worth mentioning that LTE functionality is available only on Surface Pro i5/256GB SSD/8GB with LTE Advanced. LTE availability varies by market, so the best approach is to check with your service provider for more details. Lenovo Miix 630 is a powerful Windows 10 laptop that offers excellent LTE connectivity. It is powered by the Qualcomm Snapdragon 835 Mobile PC Platform and supports 4G LTE. What’s even better is that if you buy this laptop, you also get 1GB/month for 12 months through Lenovo Connect for free (under certain terms). This laptop comes with Windows 10 S preloaded for enhanced security. The Miix 630 is ultra thin (just 2.9 inches) and weighs only 1.7 pounds. Do you want to know how long the battery lasts? Well, this device offers a whooping 20 hour battery life. We saved the best for last. Acer Swift 7 is an amazing Windows 10 LTE laptop that is worth every penny. It’s got excellent built-in 4G LTE connectivity for lightning-speed Internet connections. Add to this the 7th-gen Intel Core i7-7Y75 CPU (which you can clock up to 3.6GHz) and this is the perfect recipe for a top-notch laptop. The device is ultra thin and it sports a 14″ Full HD IPS Gorilla glass touchscreen that’s perfect for completing office-related tasks, as well as playing multimedia content. The battery can power you for up to 10 hours. There we go, we hope this list helped you to decide what LTE-ready laptop to buy. If you’ve used other LTE laptops that you think should be included on this list, use the comment section below to tell us more about your experience. Editor’s Note: This post was originally published in March 2017 and has been revamped and updated for freshness, accuracy, and comprehensiveness. We want to be sure that our list has the best products available on the market.